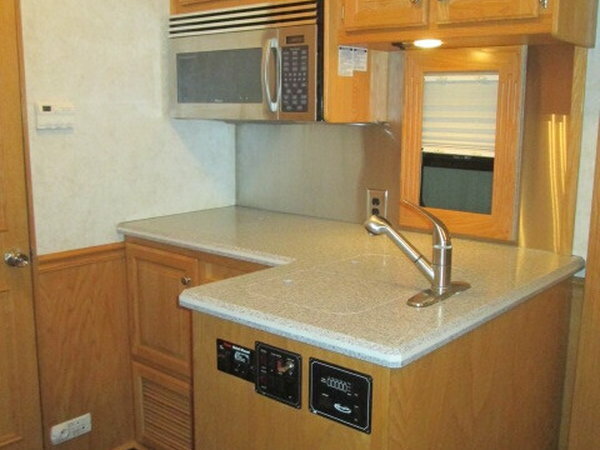 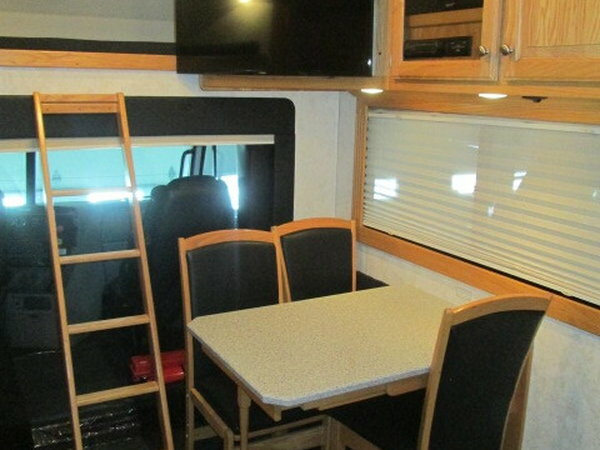 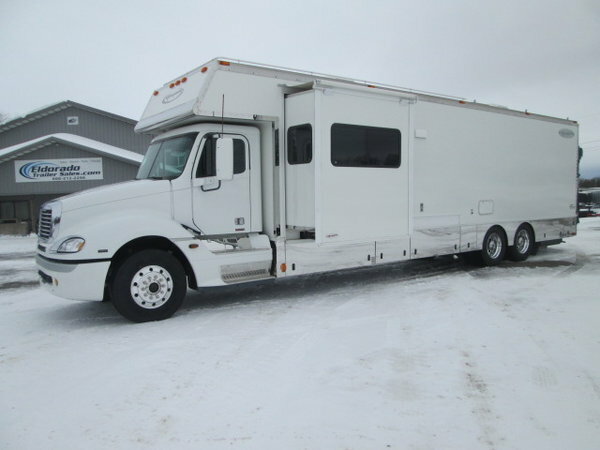 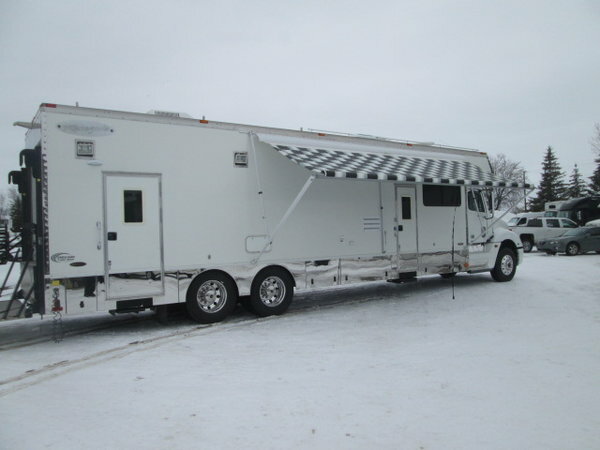 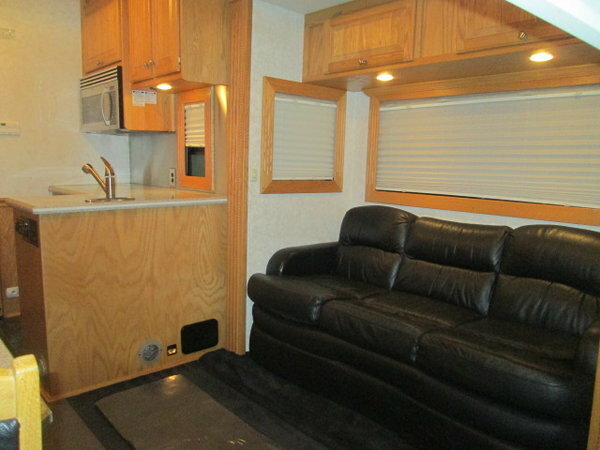 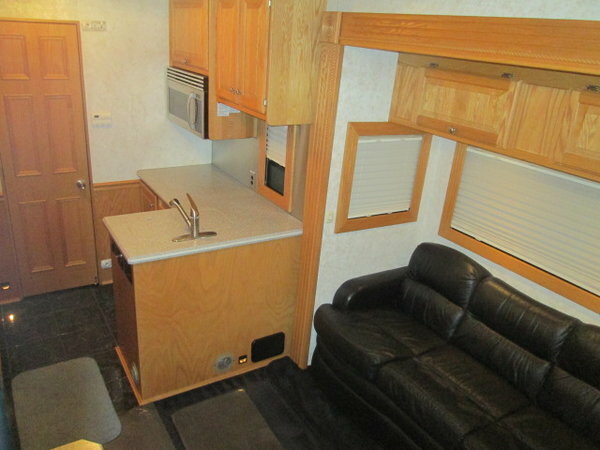 2006 Renegade 18' living with a 16' garage on a Freightliner Columbia tandem axle chassis. 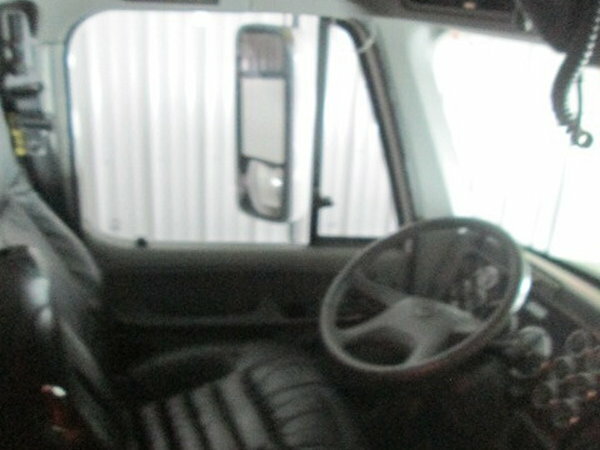 450 HP Mercedes diesel with a 12-speed Meritor automatic transmission- currently at 126,000 miles. 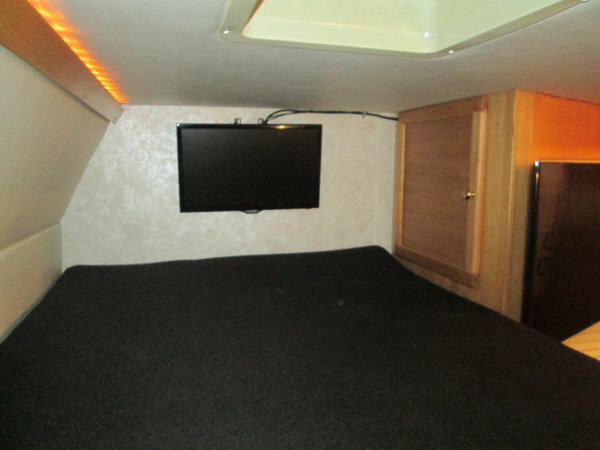 This is a rare find with a 16' garage and has been completely gone through and upgraded. 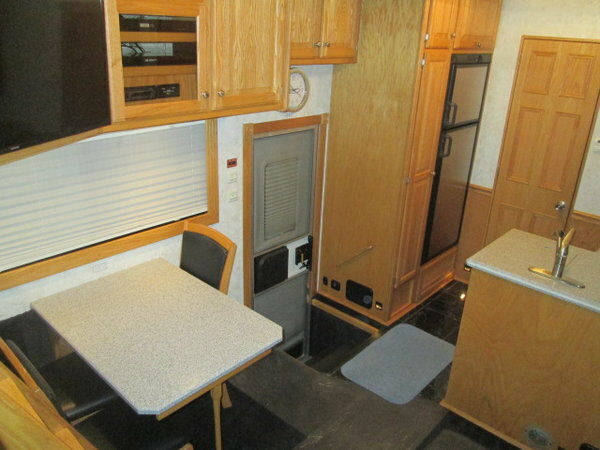 Some of the many options include a 6' slide, extra height, 4-point auto levelers, 12.5 Onan quiet diesel generator, ceramic tile in kitchen and bath, solid surface counters, back-up monitor and camera, 1600# liftgate, 36" side door into garage, A/C in garage, wash sink and cabinet in garage. 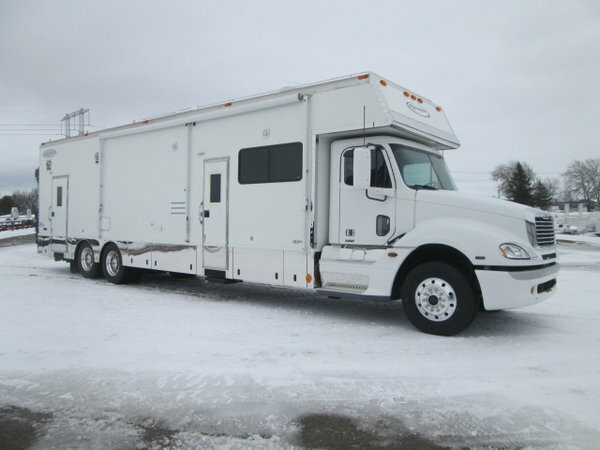 Steers have 5,000 miles and are dated 28th week of 2017(rears dated 17th week of 2016,) new headlights, house batteries 6 months old, fresh fluids and filters on chassis and gen, roof resealed less than 1 year ago, new vents, new water heater. 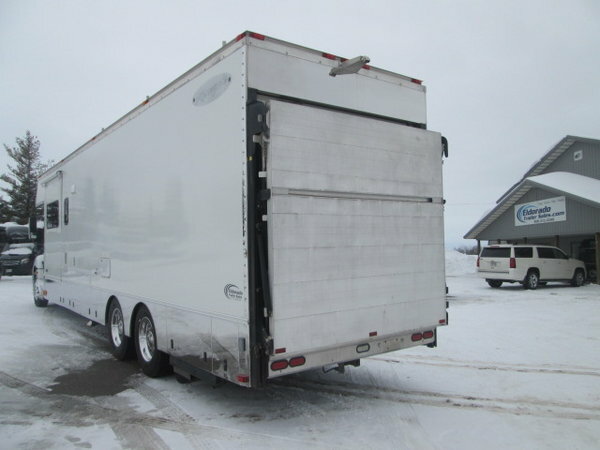 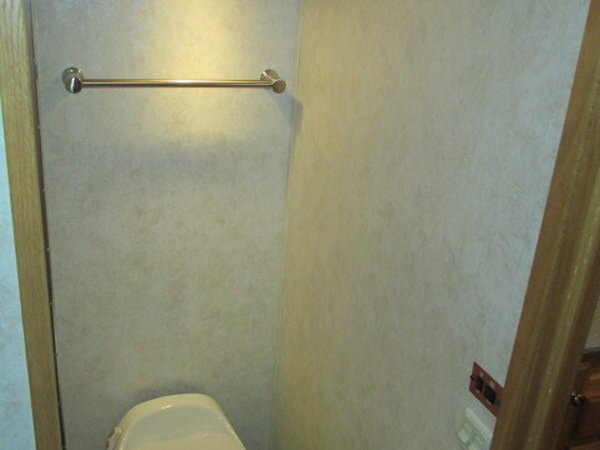 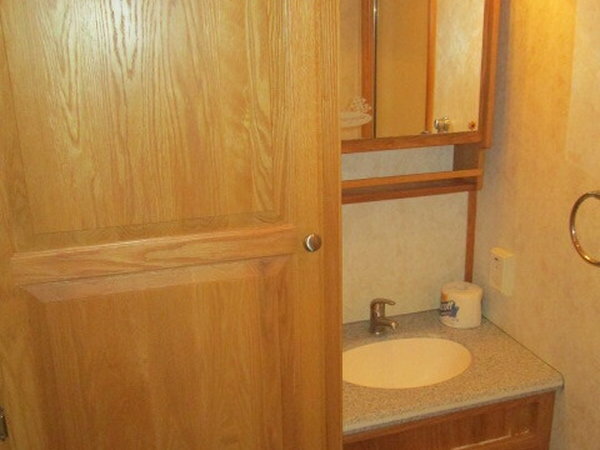 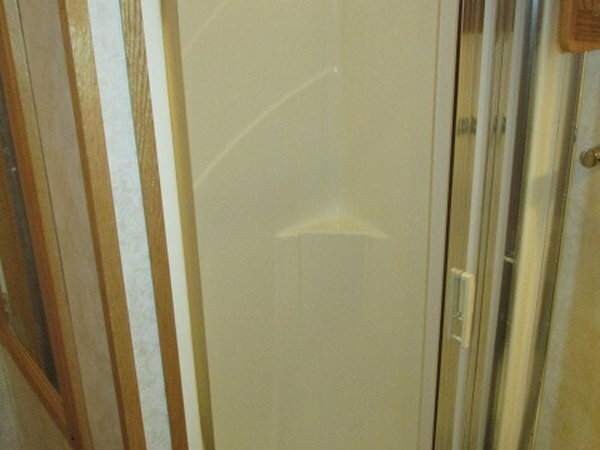 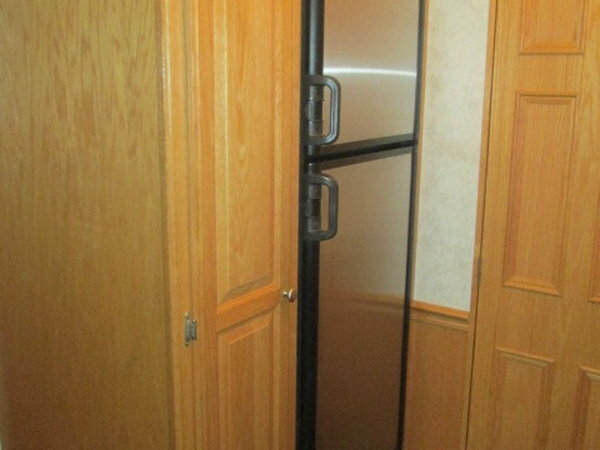 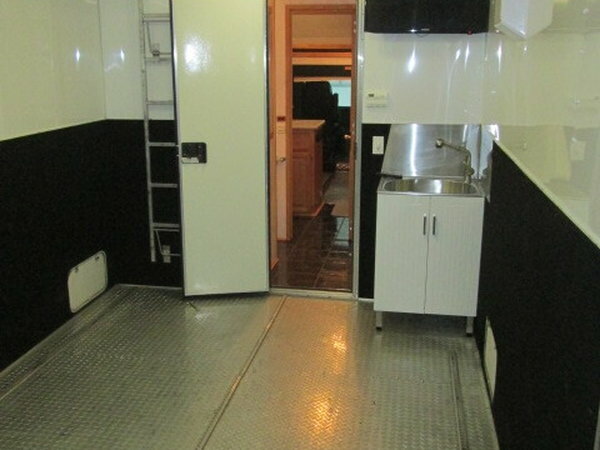 To view more pictures of this coach or to see the rest of our inventory, please visit our website at www.eldoradotrailersales.com or call (866)212-2298 with any questions. 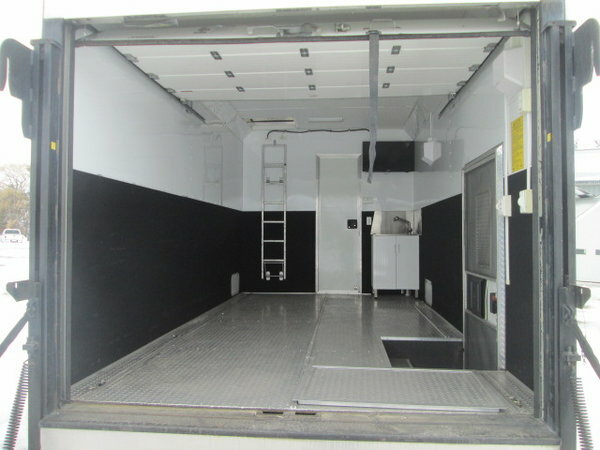 TradesAccepted: We accept other Renegade, Haulmark, NRC, Showhauler, and United conversions in trade.